Future-oriented design, the most modern technology and excellent user-friendliness – these characterize the V1200, V1500 and V1506, the three newest POS systems from Colormetrics. 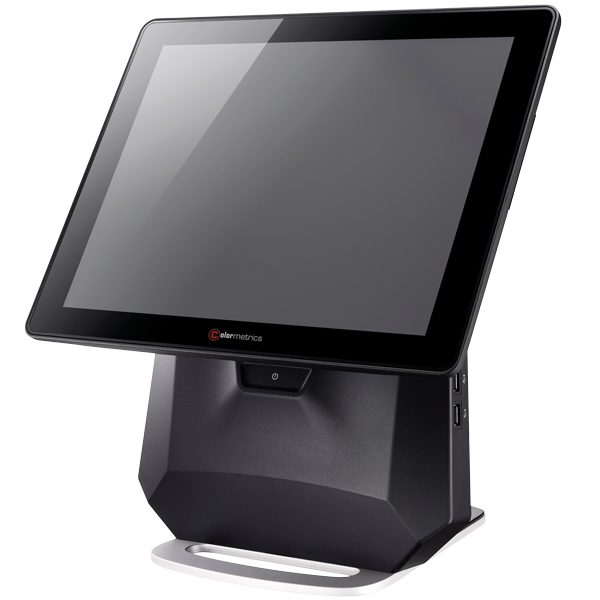 At the POS they score big with their elegant, timeless design and open bezel screen surface – and the little amount of space they need. 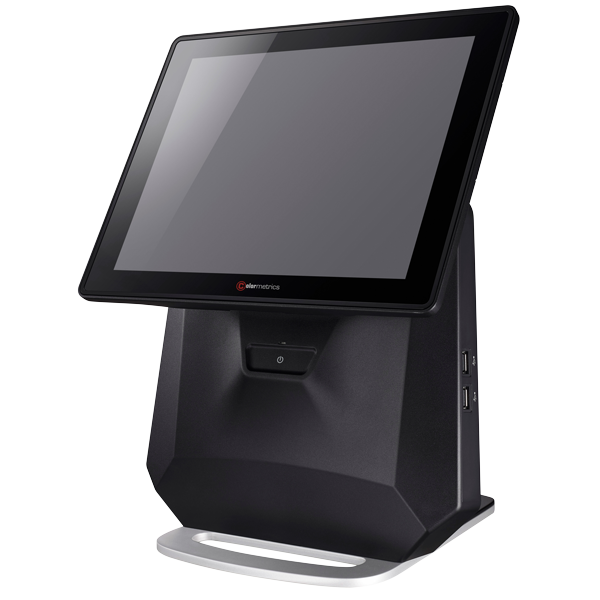 The V1000 Series is equipped with touch-sensitive LCD touchscreen monitors, which are available either as a resistive or capacitive variant. Since they have no fan, the V1000 Series is quiet as a mouse – making a good impression in elegant boutiques or in jewelry shops. The inner values of the three POS systems are very convincing: a 2 GHz Intel Celeron J1900 Quad-Core processor, 4 GB DDR3L RAM (expandable up to 8 GB), 500 GB memory or an optional SSD memory for product and transaction data. And, thanks to Ethernet, a VGA port, serial/COM and six USB ports (two of which are located on the right side), the high-class V1000 POS systems quickly settle in. 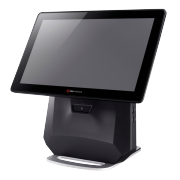 Order the three POS systems of the V1000 Series from Colormetrics now with your sales representative: don't wait, call now!